Bulletproof Nylon and Withering Looks. 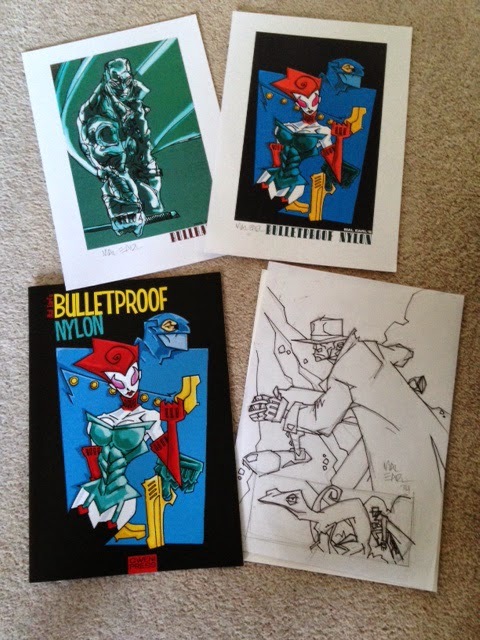 The postman handed me a large envelope which contained my copy of the Lakes International Comic Arts Festival Limited Edition of Bulletproof Nylon from the pen and mind of the very talented Marl Earl, and as if this wasn't enough, I opened the package to find that Mal had included a page of his original artwork for our upcoming Tales Of WesterNoir #2. Colin and I had booked a table at the Comic Mart in Manchester's Thistle Hotel. We do this once a year and use it as an opportunity to get rid of a lot of the comics that we'd amassed since the last one. We sell it all pretty cheap and typically sell pretty much everything. What struck us this year was that there were far fewer dealers and those that were there we selling comics as cheaply as we were. There seems a much stronger market in Graphic Novels these days, with only true collectors willing to pay the higher prices demanded by Silver Age comics. Personally I think this is a healthy turn of events. We did pretty well, I managed to shift more than 2/3rds of what I took with me, and managed to resist buying much to replace it all. And then we all, with our families, went to see the latest play from Lip Service. 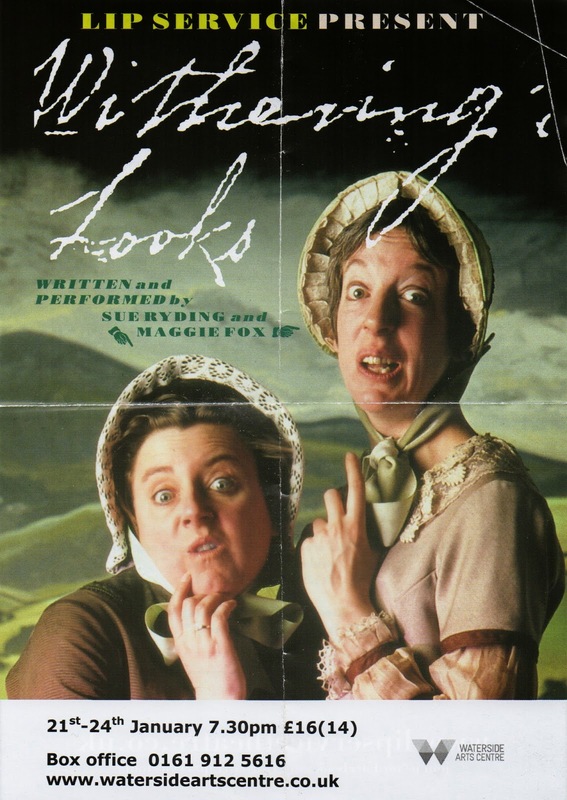 This year, we saw Inspector Norse last year, it was Withering Looks. As with the previous play, the two ladies, using only two sets and a few changes of clothing, managed to portray what life must have been like for the three sisters... probably... maybe. Very enjoyable, British humour at its most British. Yep, can't wait for the next one, which is called Doreen Grey. 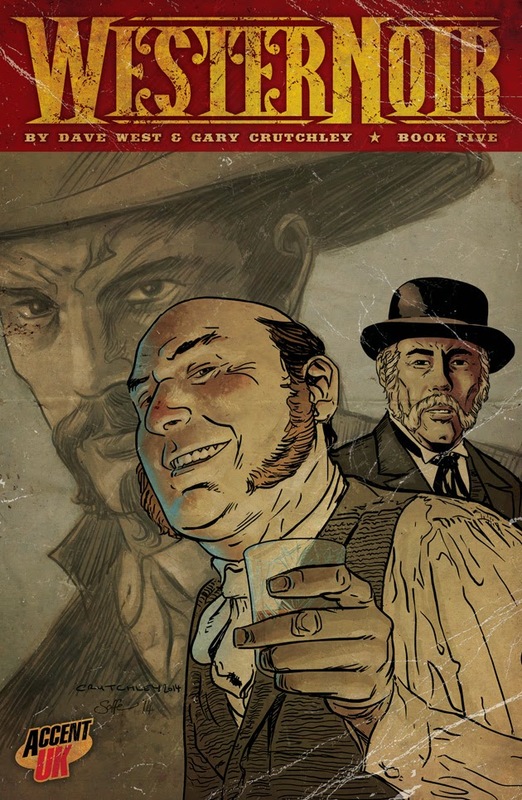 WesterNoir #5 is very nearly completed, and we're looking to launch it at the DemonCon event in Maidstone on the 15th February. This is the issue that really turns things around I think, and leads deeper into the bigger story that is taking place around Josiah. You can see a page or two over on Gary's blog. INDIO! 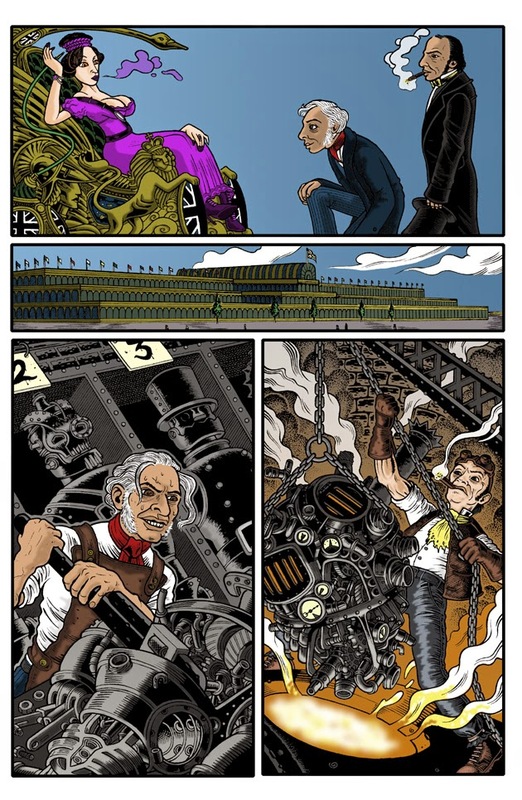 has been busy as well, and has now completed all artwork on the main story pages of Issue 4 of Stephenson's Robot, I just need to colour them now. Fabulous as always. I'll need to give issue 1 a bit more of time to sell at Cons this year before printing Issue 2, but am looking to print it over the summer at latest, ready in plenty of time for the year's autumn and winter conventions. A page from Issue 2 sees Stephenson and Brunel hard at work. Apart from these, Mal Earl is sending some great pages to me on our collaboration for issue 2 of Tales Of WesterNoir and I'm busy greyscaling pages of From SuperZeroes To SuperHeroes. So, a pretty busy start to the year.